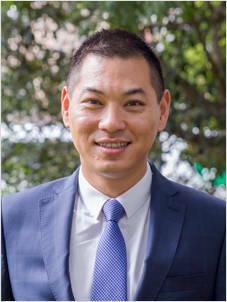 Ming believes that buying and selling a property is one of the most important decisions a person will make in their life and he is passionate about providing his clients with the best possible knowledge and service to make this process as enjoyable as possible. Passionate, enthusiastic and hard-working, Ming brings vast energy to his role as Sales Executive with over 10 years’ experience in Sales, Investment and Property Management. His current day to day role as a Sales Executive for Laing + Simmons Granville involves liaising with clients, undertaking market appraisals and property inspections and seeing the sale of a property eventuate from beginning to end. Having lived locally for many years he knows the area intimately and is extremely proud to of helped hundreds of sellers and buyers with their real estate needs. Ming brings with him a great understanding of a variety of cultures and is able to relate well with overseas clients. His exceptional customer service skills and ability to work well in a team environment makes Ming a valuable member of the team at Laing + Simmons Granville.